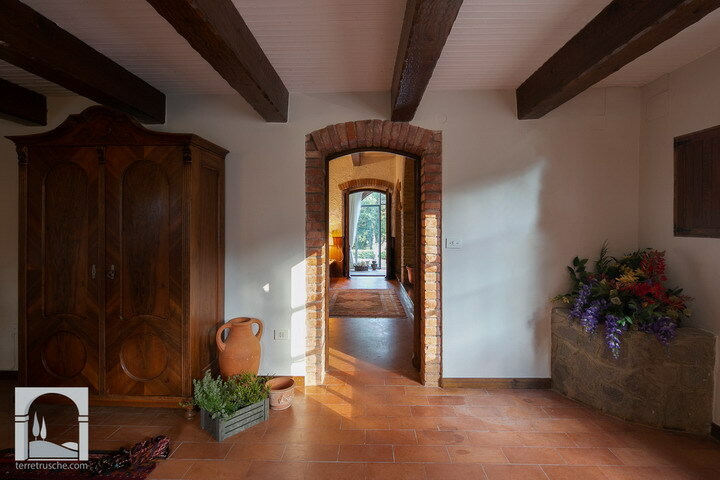 Villa delle Crete is an awesome independent villa, located in the area of Asciano, a typical small village in the charming setting of the Senese hills. 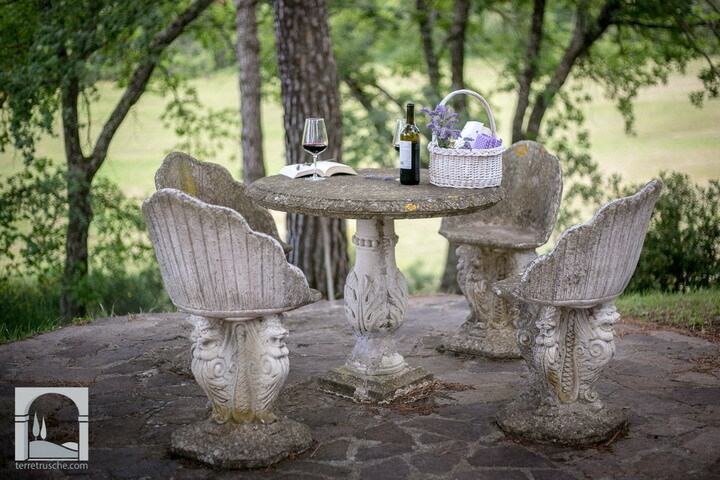 A villa of ancient construction, perfect for who are searching for an unforgettable holiday in close contact with the nature, thanks to the marvelous little wood that surrounds it. 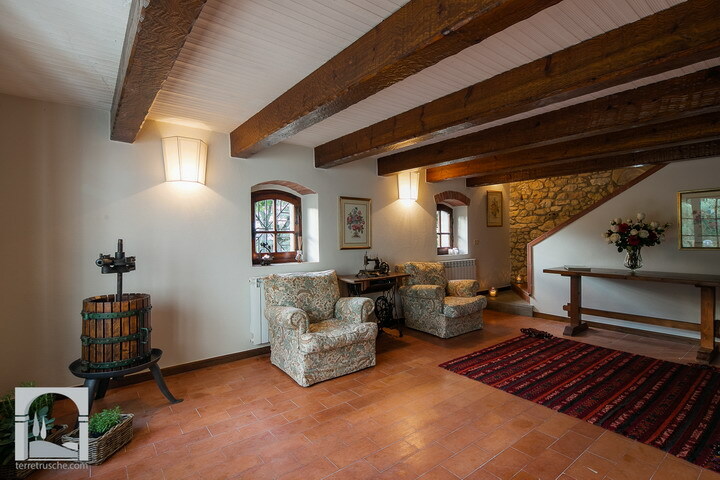 The villa is perfect to host 4 + 2 people. 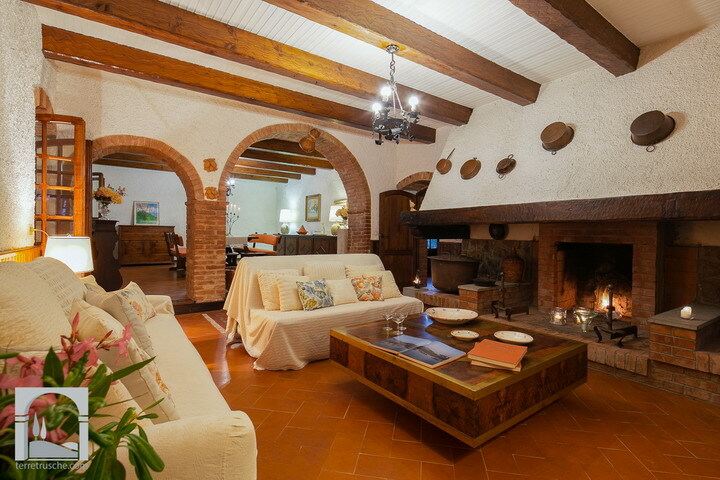 The living area is made up of a wide sitting room, where there is a small chimney characteristic of the Tuscan areas, that especially in the winter period gives a convivial and special atmosphere, a dining area and a fully equipped kitchen. The sleeping area is composed of three bedrooms, one double and one with 2 single beds, and a small single bed, both beyond two comfortable bathrooms. 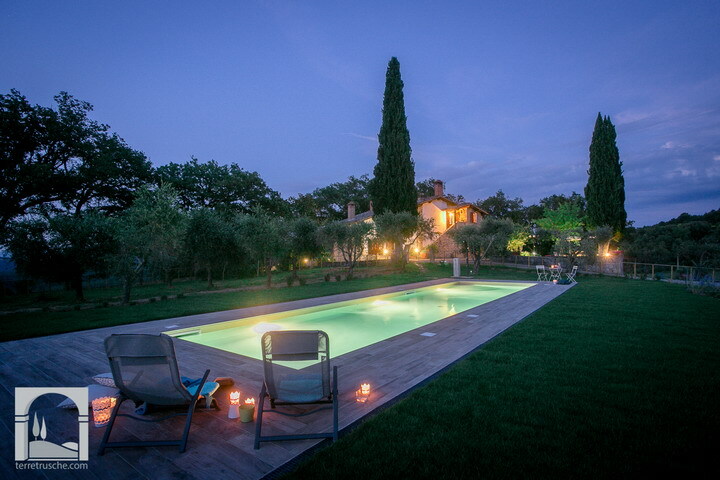 Outside there is an awesome garden dominated by a paradisiacal swimming pool, ideal for chilling out during the summer days and enjoy pleasant swims in the refreshing water, and under the interior lighting you can relish enjoyable swims under the stars. All around the swimming pool there is a relaxing area ideal to cuddle themselves in the sun and spend wonderful days. 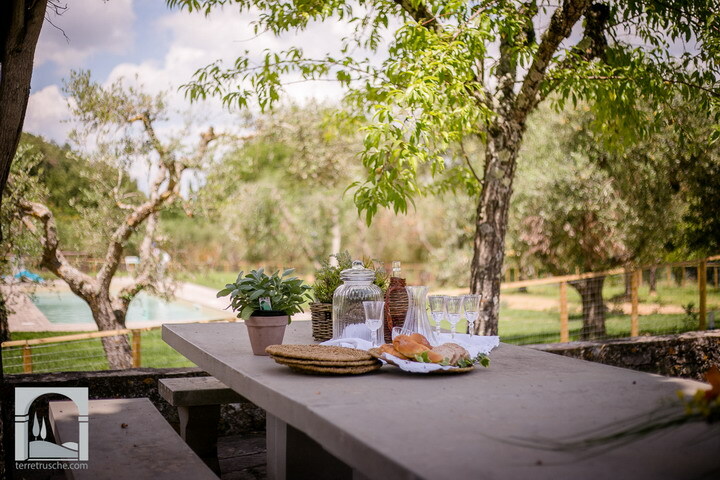 A dining area, completely equipped, in the beautiful terrace of the villa offers you the possibility to eat “al fresco”. Villa delle Crete has also a dining area covered, thanks to the beautiful glass walls the light comes inside. 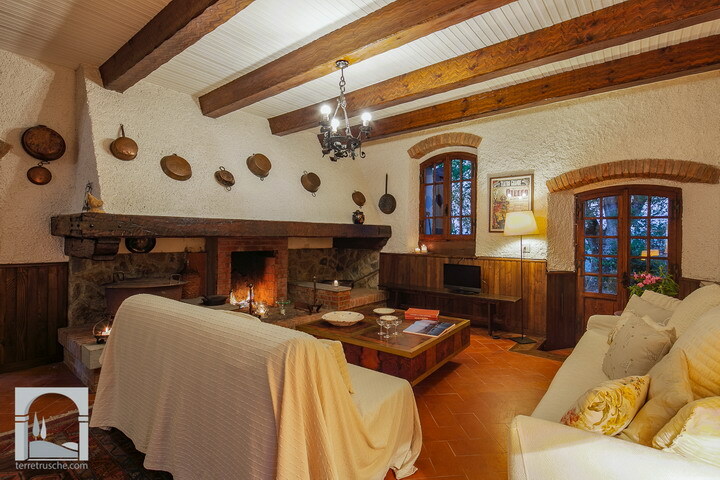 The villa has a complete external lighting and a barbecue area ideal to cook tasty meals. The villa is provided of screen and a Wi-Fi that of course can't miss. Nearby you can reach the well-known Terme di Rapolano; thermal baths, where in every season it will be possible to gift yourself a day of never ending relax thanks to the benefits of this renowned thermal water and the Spa with beauty treatments. 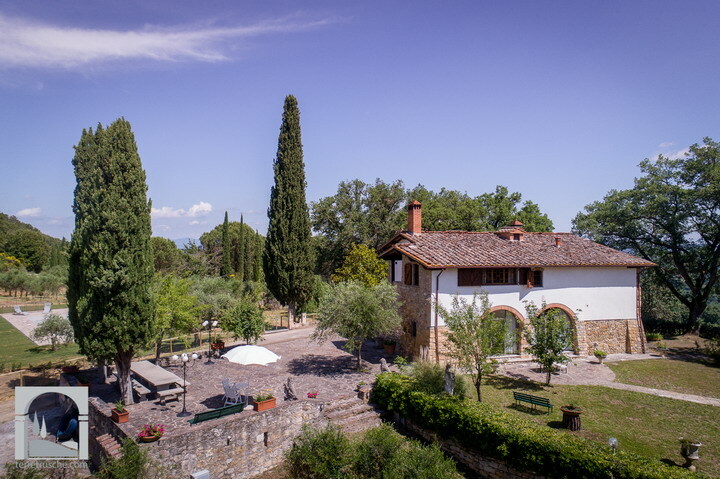 Villa delle Crete is the ideal location to arrange daily trips close to the well-known cities of Siena, Pienza and San Gimignano, a tour of Chianti and Val d'Orcia with the enchanting rolling hills patrimony of UNESCO. 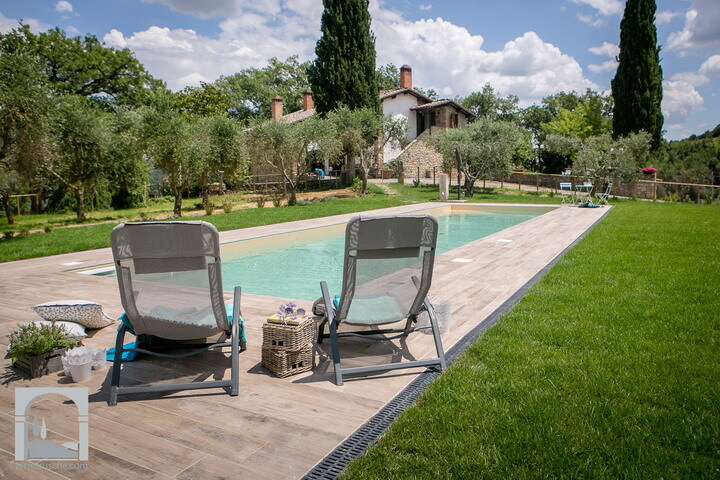 A splendid holiday at Villa delle Crete will let this stay printed in your mind so as to come back again.